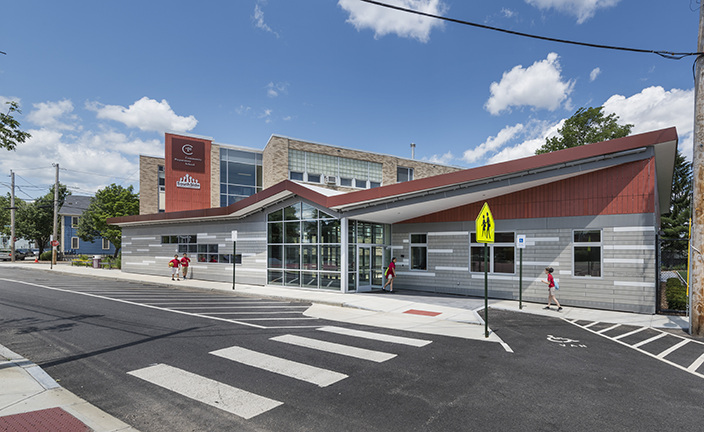 Over the years, LLB Architects has completed several feasibility studies for the Community Preparatory School, an independent middle school serving grades 3 through 8 located. 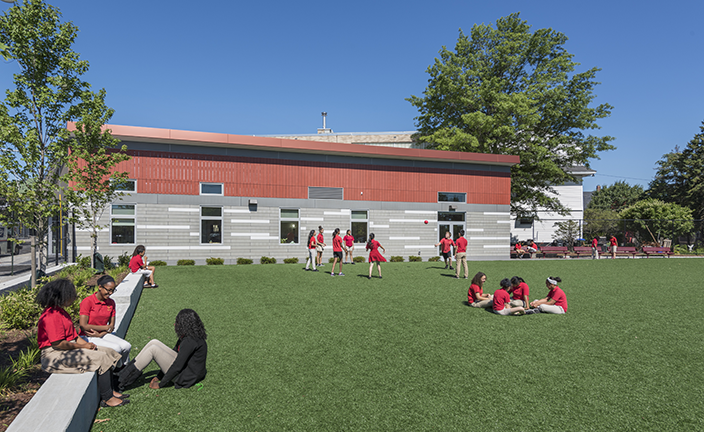 Each of the studies focused on exploring the options the land-locked urban school had to expand at both their current location on Somerset Street, as well as at other sites in South and West Providence. 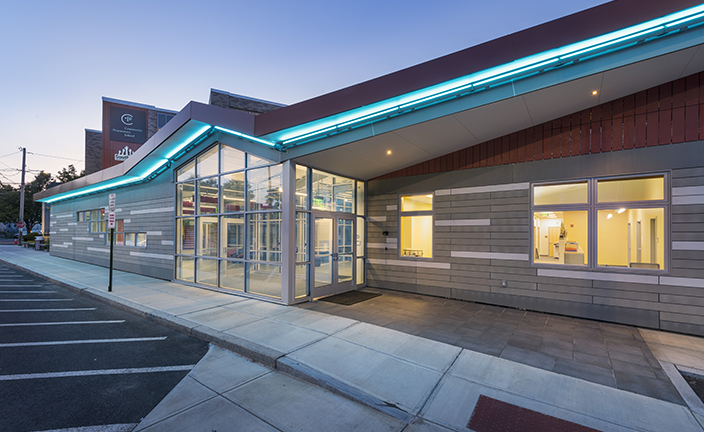 In 2015, we completed a conceptual study for an addition and renovation of the Community Preparatory School’s main building in Providence. 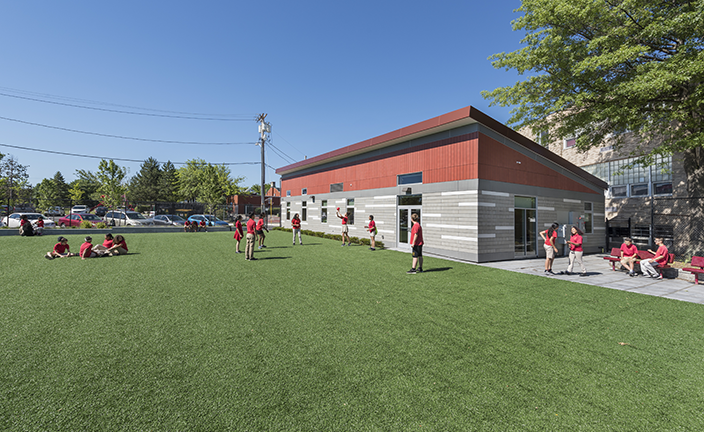 In 2016, in partnership with the neighborhood and the City of Providence, Community Preparatory School was able to close a portion of Somerset Street and convert the adjacent parking lot into a recreational field for use of the school and neighborhood. Garden boxes with raised beds provide additional greenery, as well as a place for students to sit. The design of the addition draws its zig-zag roof form loosely from the gable roof shapes in the surrounding residential neighborhood. 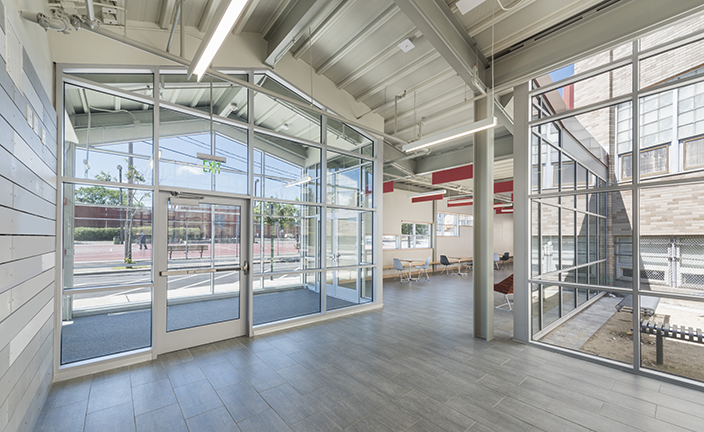 The glass entrance and lobby serves to connect the academic building with the new administrative wing. 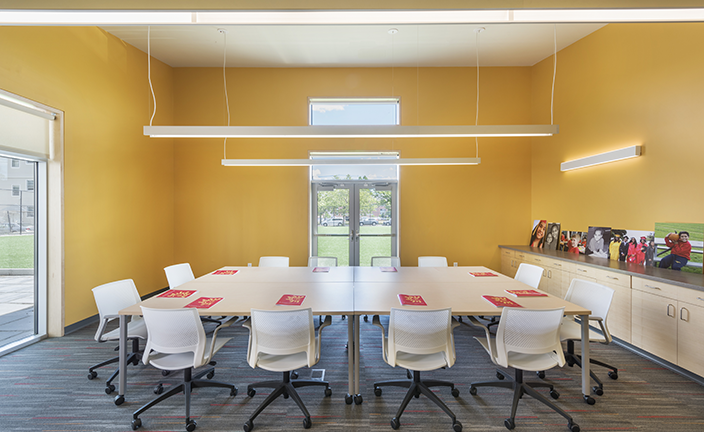 It functions as an informal gathering place for students and a sheltered place for them to wait in the afternoon for the bus or their parents. The windows stacked at various heights allow students to check to see if their parents are waiting to pick them up. 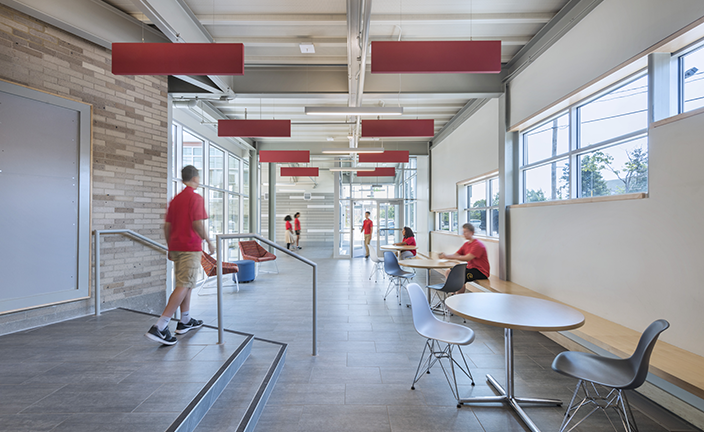 The exposed structure and ceiling, use of glass, and vibrant materials express the welcoming, inclusive nature of the school while the horizontal exterior cladding with accent strips and LED color-changing lighting announce the dynamic presence and personality of the school in a way that the existing school building had not previously. Access to all levels of the academic building was improved through the addition of an elevator at the far end of the lobby. 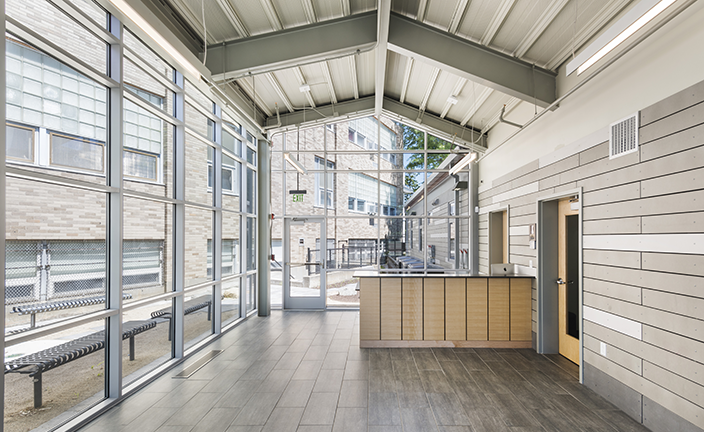 A small, private courtyard with sitting spaces was created at the intersection of the existing building and the addition.